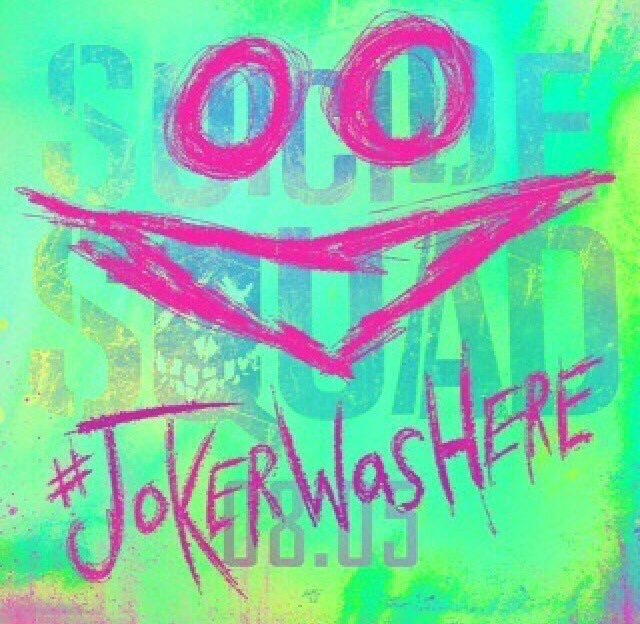 #JokerWasHere icoon. The Joker took over Suicide Squad's social media accounts, 4/1/2016.. Wallpaper and background images in the Suicide Squad club tagged: photo suicide squad movie 2016 icon jokerwashere joker was here the joker social media takeover. This Suicide Squad photo might contain teken, poster, tekst, bord, schoolbord, anime, grappig boek, manga, cartoon, and stripboek.